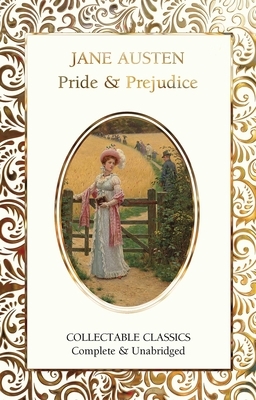 One of the finest examples of literature, written by an author at the height her powers, Pride and Prejudice is sharply observed, witty and acute. It is studied and enjoyed in still increasing numbers throughout the world today. Elizabeth Bennet and her four sisters are unmarried, much to their parents' great anxiety. In a rollercoaster of social etiquette, wilful misunderstanding and romantic intrigue Mr Charles Bingley and his friend Mr Darcy vie with Mr Collins and Mr Wickham for the attentions of the Bennet daughters. Rejection, scandal and distress eventually lead to marriage and true love in a series of classic happy endings resolving the conflicts between pride and prejudice in the sisters and their beaus.